This month, we have the pleasure of interviewing Jacek Skwierczynski of Poland. 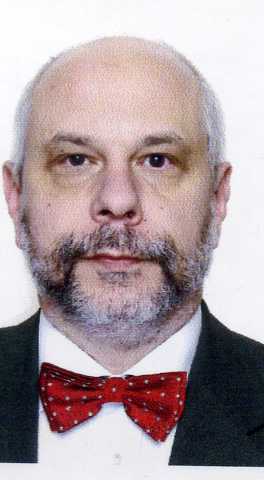 Jacek is president of the Polish Institute of Actuaries, Chief Risk Officer of Open Life in Poland, and loves bowties. He holds a Ph.D. in Applied Mathematics from Warsaw Technical University and started his career as a university professor until a colleague told him of a strange and new science - actuarial science. He learned more about this strange science under the tutelage of Harry Panjer, Chris Daykin and many others in the Actuarial Summer School established in Warsaw to help the growth of the actuarial profession. He was the 10th actuary certified under the exam system in Poland, and used ACTEX materials to help him study. During his career he worked in non-life and life insurance in Poland, Ukraine and Russia. Jacek Skwierczynski (JS): In Poland there are 313 actuaries (the Financial Regulator manages the register). One hundred seventy-five of them are full members of The Polish Society of Actuaries. JS: In 1920, but the profession disappeared after World War II and was re-introduced in 1991 with the new Insurance Law introduced after the fall of the communist state in Poland and the introduction of a free market economy. JS: The need for continuous education. JS: I recall one CEO in the 90s saying to me - "I know I have to employ you by law, but I really don't know what you do." JS: The Polish Institute of Actuaries was created in Warsaw in 1920 soon after the country regained its independence after World War I and was active until World War II. The aim of the Institute was to promote actuarial science and to form a solid basis for actuarial training and research. The first president of the Institute, Dr Samuel Dickstein, was a professor at Warsaw University. In 1920, the Institute published the first set of professional guidelines for actuaries working in Poland and outlined the principles of actuarial education. In 1922, the Institute began publication of "Wiadomosci Aktuarialne", the first Polish scientific journal devoted solely to problems of insurance mathematics, which appeared, with interruption, until World War II. Polish actuaries participated in actuarial congresses and Poland was one of the 17 European member countries in the International Actuarial Association (IAA). World War II interrupted these developments, but the tradition of actuarial research and high professional standards were very important as they made it possible for Poland to continue some form of cooperation with international actuarial bodies. The monopolistic nature of Polish insurance between 1945 and late 1980s successfully eliminated any form of competition, while the state control did not promote actuarial professionalism. The Polish Institute of Actuaries was never reestablished after World War II, and the word "actuary" disappeared from Polish encyclopedias. After half a century of both neglect and purposeful destruction, the recreation of the actuarial profession in Poland was not an easy task. With the fall of communist system, a new insurance law came into force on July 28, 1990. It took into account laws in European Community countries and required insurance companies to go through a licensing process and provide business plans before establishing operations as well as using "an expert in insurance mathematics, finances, and statistics (an actuary)". However, the country had not a single licensed actuary at that time. As the new insurance law was being prepared, in July 1990, the first intensive summer courses in actuarial science were organized in Warsaw. They were requested by the Polish Ministry of Finance, which also acted as the insurance supervisory authority in Poland. The school is still in operation as an annual event as a continuing education program for actuaries from Poland and other Eastern European countries. The insurance company regulation of December 27, 1990, consolidated the insurance law of July 28, 1990, and promoted a strong role for actuaries in insurance company management. A group of students of the first summer courses in 1990 decided to form a support group to promote the actuarial profession as well as actuarial education and research. One year later, as a direct result of the 1991 summer school, the idea of creating a truly professional organization crystallized, and after discussion, the founding Statute was adopted and submitted for registration. On August 9, 1991 the Polish Society of Actuaries was registered. The first elected president of the Society was Dr Krzysztof Stroinski who held office until 1996. JS: Most challenges are related to Solvency II and consumer protection. JS: Direct insurance companies, (one) reinsurance company. JS: Solvency II and consumer protection related issues. JS: There are no formal actuarial courses at universities - a major change in the education process has been initiated by the Polish Society of Actuaries in 2015 (a new regulation by the Ministry of Finance). JS: There are state exams as well as additional exams or courses organized by the Society. The Polish Society of Actuaries is a full member of the International Actuarial Association (IAA) and the Actuarial Association of Europe (AAE). JS: It depends on the employer, but in general, they do not. JS: We have a member of our Society working for the Financial Markets regulation Office of the Ministry of Finance. JS: As the President of the Society I may not be objective, but we are recognized and valued by the Ministry of Finance, the Financial Markets Regulator and the Polish Chamber of Insurance. We are not held in high esteem by the Insurance Ombudsman and Office of Competition and Consumer Protection. I do hope this will change in the coming years. The average consumer does not know what the strange bird known as an "actuary" is. JS: As a small association we appreciate the help and support we receive from the IAA the AAE and well-established actuarial associations. We count on more.